As a 20th birthday present this year my friends got me something I have always wanted: a tattoo. Although they themselves did not give me the physical tattoo, they each pitched in to help pay for the expensive addition to my body. It was a gift I will cherish forever (literally), something that means a lot to me, from those closest to me. As I have always wanted a tattoo it was not difficult for me to decide what I wanted it to be; I knew immediately. For years my life motto, my mantra if you will, was “Where there’s a will, there’s a way.” It has been something that has gotten me through some tough times, helped me when I needed it, and is pushing me towards my goals in life. It helped me get to where I am now and is something I think about when I am struggling. Throughout my college experiences this far, especially this semester, I have found myself doubting my future. 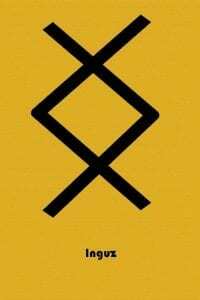 I wonder whether I have what it takes to reach my dreams, whether I should take an easy route out now, but I am always brought back to the reality with this symbol; I am always assured. Today, I am happy with my tattoo, as it is a daily reminder of where I am in my life and what I can be. Jimmy Gao, a spontaneous and energy-filled kid, dropped my debit card on a COTA bus. Yes, he somehow managed to to unknowingly let the card slide out of his pocket, allowing the thin piece of plastic to leave the safety of his hands, and my entire life’s savings to disappear in one second. 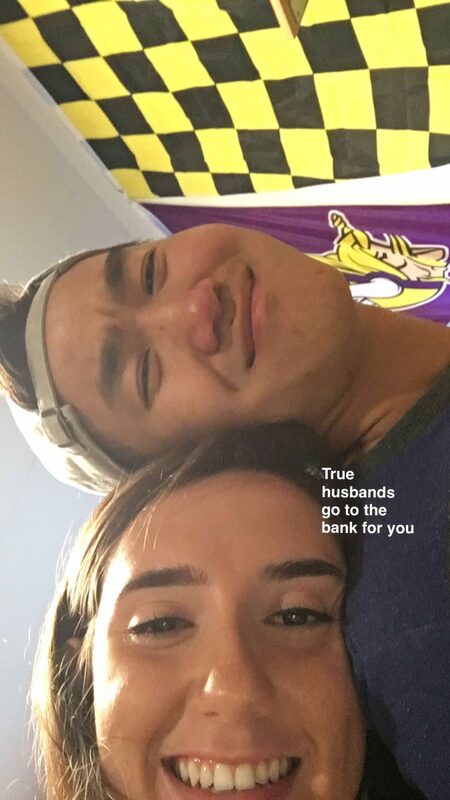 He didn’t mean to, as he was actually doing me a great favor in going to the ATM for me while I dwindled away at my hours of homework; it is the thought that counts. Following the incident, Jimmy called me and right as he said the words “Jo I have some bad news,” I knew what had happened. He expected me to be upset, angry, maybe even sad, but in reality my first reaction was to laugh. Although he was somewhat uncomfortable with the fact that I was uncontrollably laughing, he was happy I wasn’t going to kill him. He promised “to make it up to me” which I knew consisted of him apologizing to me endlessly, never forgiving himself for misplacing my beloved net worth. Thankfully, I was able to cancel the debit card and was certain I would be able to order a new one and obtain it within a few days, but unfortunately that was not the case; this is where the real bank troubles begin. Cancelling the card was simple, but ordering a new one was not. It would take me a lot of debating and swindling to acquire a card, since the bank refused to send me a new one until a few weeks had gone by. Long story short, the bank could not issue any debit cards for a few weeks to current customers as they were on short supply and in the process of changing “networks and databases,” so a new card was impossible to get. With some coercion and nagging, I persuaded them to send me a new one, two weeks later. Within a week of getting my new card, and finally having a source of money as a broke college student, I noticed some odd behavior; there were unauthorized transactions of close to $400 on my card from the time Jimmy lost my card. I freaked out, worrying that someone had been using my well-earned babysitting money, which was the case. I quickly cancelled my card, flinging myself into a long fraud investigation that would end up in a frozen bank account, a fraud case, a possible court appearance, and no card. After a long month with no access to money and using Venmo as my only source of income, my money was returned and a new card was ordered. But, those 5-7 “shipping” days for my new card turned into two weeks of waiting. Finally, as I once again picked up my phone to call the bank, I was told the card had been activated, which was not of my doing. Somehow, my card was once again taken, and I was brought straight back into the investigation. As another month drew by and the fraud investigation drew to a close, I finally got a new card a few days ago. Although the card managed to make its way onto the floor of a COTA bus, or the side of High Street, and the endless bank troubles that followed made me want to tear my hair out, I could never be upset with Jimmy. It is not the materialistic items that matter, but in fact friendships with those who are important. 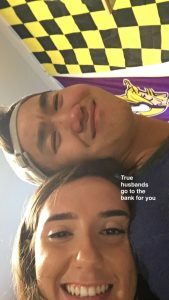 I valued my relationship with one of my best friends way more than I did a credit card, and even though he did cost me $400 and a waste of my time, I could never be too upset with him. Being a student of OSU’s Honors and Scholar’s program, we strive towards reaching specific objectives: Global Awareness, Original Inquiry, Academic Enrichment, Leadership Development, and Service Engagement. Leadership development is one that interests me the most and has had a large impact on my tenure here at Ohio State. Being involved in the Mount Leadership Society Scholars Program has given me countless opportunities to grow as a leader and be one. Using service and volunteerism, Mount builds character and leadership skills through serving others, something I have been passionate about my whole life. This aligns well with my future career, as I am entering the medical field and wish to help others on the daily. Developing leadership skills will not only help me in my career when I am older, but will develop my interpersonal skills as well, which will in turn help me in multiple aspects of my life. Being in my second year here at Ohio State, I am thankful for everything I have learned through being a Mount Leadership Society Scholar and I know this next year will bring much more growth. My scholars program has shaped me to be the leader I am, and I have learned a lot about my own leadership style. Using Myers Briggs and StrengthQuest I have learned a lot about the leader I am and what I am capable of. Everything I have learned has been applied to various areas of my college life, such as in student organizations and work. I have recently joined the Undergraduate Student Government, where I am a committee representative for Sustainability. Here I have used what I have learned about myself and have applied it to my work, working as a new member on various projects. I hope to take the lead on an event/project soon, developing as a leader. Also, I am involved in research with the James Comprehensive Cancer Center at the Wexner Medical Center where I hope to climb my way up and gain higher positions, increasing my leadership expertise. Finally, I just started a job as an Office Assistant in Bowen House. Here I am excited to be a part of creating a community within the dorm, allowing myself to grow as a person with the help of those around me. I have been continuously working on improving my leadership skills, and I have been able to apply these to my extracurricular activities. Another G.O.A.L.S objective that stands out to me is Academic enrichment. My studies are my driving force, as I have a strong passion for medicine and will work hard to reach my goal of becoming a physician. With this comes the ups and downs of school work, such as balancing a heavy credit load, hard classes, and finding a good medium between extracurriculars, schoolwork, and fun. Through a heavy course load I have found myself developing as a student, which will only help me reach my ultimate career goal. It may be difficult, but worth it in the end. I am excited to see what the next few years has in store for me here at OSU. Dedicated undergraduate student with a passion for the sciences, medicine, and service. Possesses excellent communication, interpersonal, and critical thinking abilities, as well as adapting quickly to new situations. Through the different experiences I’ve had in my life, I am becoming a more well-rounded, informed, and involved leader and team member. I have been fortunate enough to have many opportunities to work alongside physicians in a hospital or research setting, allowing me to shadow and understand what a future in the field would mean. Humbling experiences such as my volunteer work within The Mount Leadership Society Scholars Program, Karl Road Library, and the Cleveland Clinic have given me a chance to help those around me while learning more about the communities I have lived in; I have been able to give back to places that have given so much for me. Belonging to organizations such as Remote Area Medical, Mount Leadership Society, and BuckeyeThon have emphasized what it means to give back to a community. My time spent as a Wellness and Athletics committee chair as well as my role on the planning committee of Remote Area Medical has given me necessary leadership skills that will help me with teamwork, problem solving, and interpersonal relationships in the future. Finally, my time as an Office Assistant has given me the opportunity to work within a staff, working on my social skills and team work. As a Research Assistant, I have garnered skills that include lab knowledge, computer skills, data entry/graphing, and knowledge of research methods. Each of these organizations, roles, or experiences I have had in the past few years have been able to shape me into a better leader, team player, and listener, giving me the necessary skills I will need for my future. 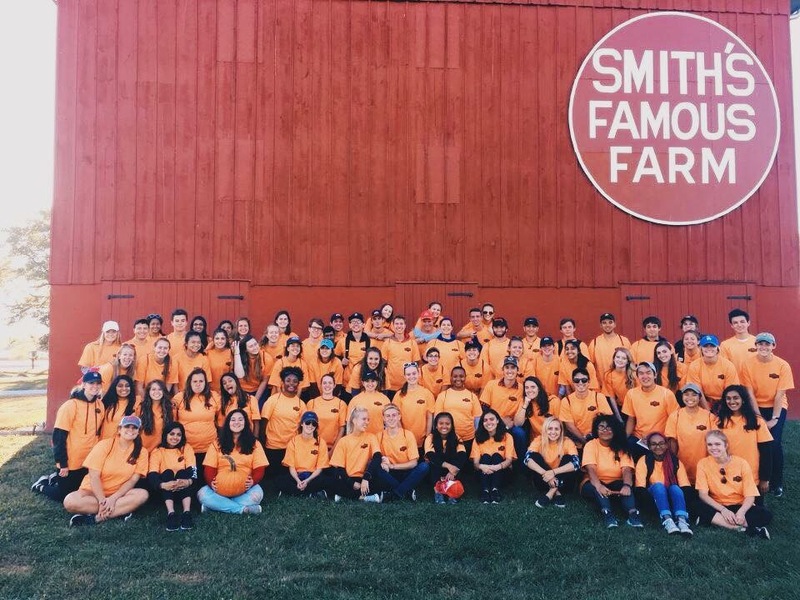 Every year, members of the Mount Leadership Society Scholars Program take a trip down to Smith Farm to volunteer at the Fall Harvest Jamboree. With thousands of people attending, an endless collection of pumpkins, and activities for everyone, the annual gathering comes together to offer a “welcome” event for Autumn, giving families the chance to enjoy the season before Ohio’s rough winter takes it away. Many say farms, hayrides, haunted houses, and pumpkin patches are the epitome of a great Autumn season. Coming from Cleveland, Ohio, visiting places like Hale Farm and going pumpkin picking is a yearly event for my family and I and something we look forward to. Volunteering at Smith’s Famous Farm served as a reminder of home, giving me a little familiarity in a new city. It not only allowed me to reminisce on old memories with old friends and family, but gave me brand new memories with new friends. The Fall Harvest Jamboree also gave me the chance to volunteer, something that brought me to where I stand now in the Mount Leadership Scholars Program. Without service, my life would be rid of a passion of mine, and I would not be a member of the program, so volunteering with some of my best friends in one of my favorite places was a blast. 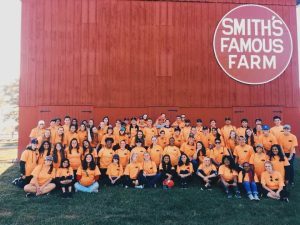 The Fall Harvest Jamboree, one of the biggest service events Mounties take apart in, gave us all a jam-packed day of service and fun. Jovana Demonjic is a first-year from Rocky River, OH, majoring in Biology on the pre-medical track. She plans to obtain her degree in biology and pursue a Master’s degree from an accredited Medical program. 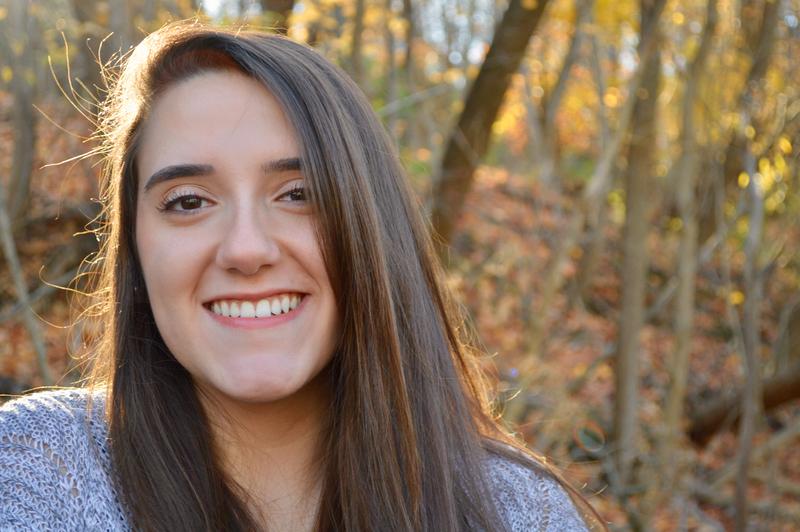 Jovana loves being involved in extracurricular activities and exploring her passions. 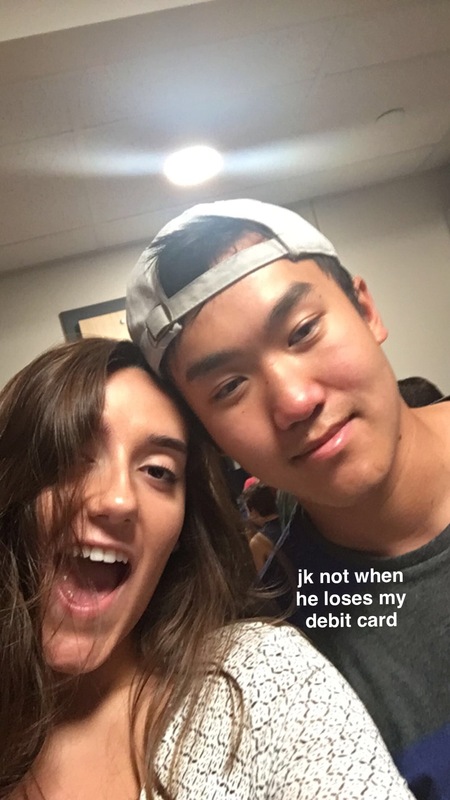 In high school she was the president of her school’s Kiwanis Club, editor-in-chief of the yearbook staff, president of the Model United Nations Club, a freshman mentor in the Freshman Mentoring Program (FMP), a lacrosse player, and a member of the Rocky River chapter of the National Honor Society. At Ohio State, she is involved in the Mount Leadership Society Scholars Program. Additionally, she is passionate about traveling and exploring other cultures and ethnicities, especially her own background from Eastern Europe. She hopes to study or obtain an internship abroad during her time at Ohio State, hopefully concentrated in the medical field. When not in class or studying, she enjoys playing and watching sports, reading, volunteering, and hanging out with friends. She is eager to begin her life at The Ohio State University, and cannot wait for where the next four years lead her!